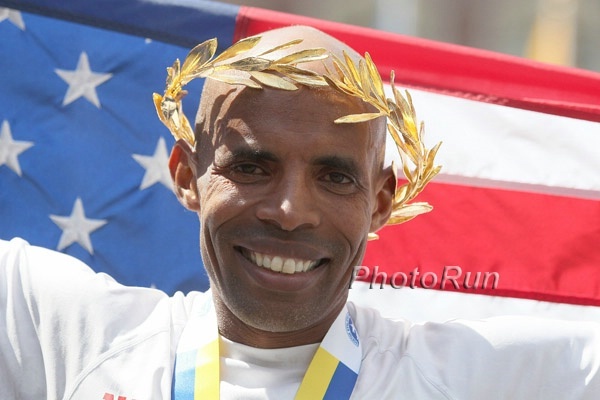 – Manager Gerard Van der Veen talking in a fantastic piece by Toni Reavis, who has the inside scoop on how/why the top Africans let Meb get so far ahead that he couldn’t be caught in Boston. Who you got? 2014 Penn Relays men's DMR? Penn State, Stanford, Nova or Oregon? Why do 95% of high school kids nowadays have a 3.5 gpa or above????? 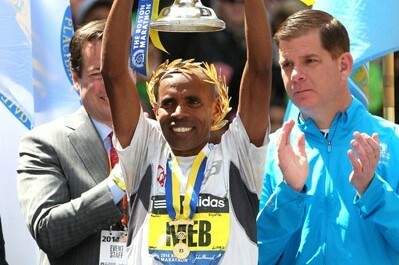 A MUST READ: The Inside Story: How did Meb get far enough ahead to win 2014 Boston? 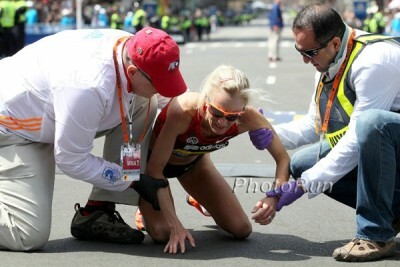 Toni Reavis tells you Reavis has the scoop of what went on in the top African pack. 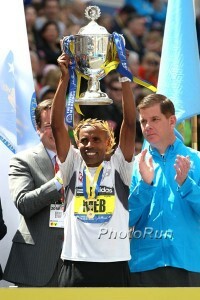 No More Marathon For Mo Farah? After London Disappointment, Alberto Salazar Wants Mo Farah To Focus On The Track Through Rio 2016 Salazar: “Let’s stick with what he’s best at in the world, stick to the track through Rio.” Salazar also touched on this season’s racing schedules for Matt Centrowitz, Galen Rupp and Mary Cain. Team England Gives Mo Farah An Early June Deadline To Decide Whether He Will Race Commonwealth Games Farah had hoped to make a decision after the July 12th Glasgow Grand Prix, but that is only 15 days before the Commonwealth Games start. Jamaican Youth Sprinters Dominate At CARIFTA Games Jevaughn Minzie won the 100 in 10.18 while Michael O’Hara won the 200 in 20.50. World Youth champ Jaheel Hyde won the 400H and 110H. His time in the 110H of 13.10 (youth height) would have been a world youth best but the wind was just over the legal limit (2.2m/s). 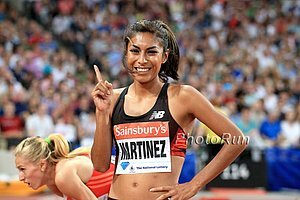 Photos: Rojo’s Personal Saturday Photos Of Boston Scene, BAA 5k, Mile, Desi Davila Brooks Press Conference Rojo’s are always more interesting than the pro photos above. 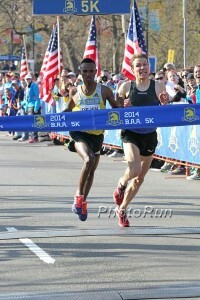 5k Analysis: 5 Takeaways From The 2014 BAA 5k: Molly Surprises Herself, Gebremeskel Says True Can Break 13:00, Sambu Says Abdi Can Run 2:08, More Also post-race interviews with the pros or get them below. 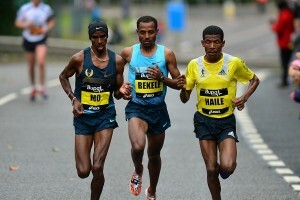 Recap: Gebremeskel Edges Ben True, Molly Huddle Gets Poignant Win Ben True keeps upping his game. 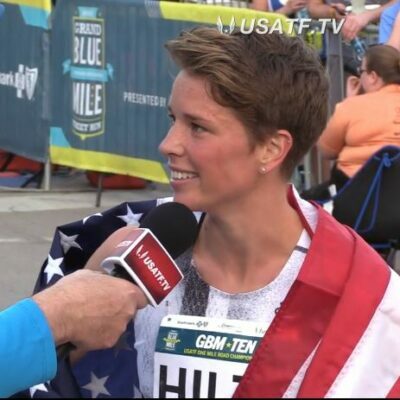 On The Boards: Watch out world,the Americans r coming: Molly Huddle gets upset win, Ben True just misses against Gebremeskel! 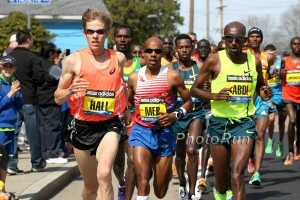 BAA Mile: Morgan Uceny And Nick Willis Get Convincing Wins (link fixed) Heather Kampf 2nd, Felnagle 3rd. Paul Robinson of Ireland 2nd, Leo 3rd. Penn: Friday: LRC Edward Cheserek Wows The Penn Relays Crowd – Turns on Jets In Final 300 and Gives Oregon a Resounding Victory in Men’s DMR Indoors, Stanford crushed Oregon. Outdoors, with Fleet and Cheserek, it was time for some revenge and oh boy was Cheserek good. Ciaran O Lionaird will race for 1st time in over a year in Drake mile – back on track after painful lost year Achilles surgery knocked him out outdoors last year. 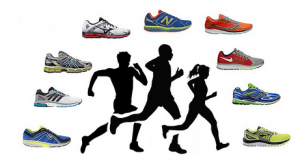 US Mid-D News: Spikes Mag: A Day in the Life of Nick Symmonds Symmonds, like LetsRun.com’s JK loves Dr. Pepper, eats 4-5,000 calories a day (but barely touches breakfast). 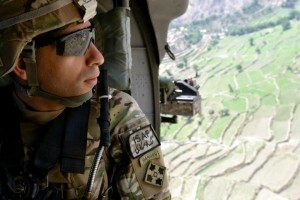 In the afternoons, he often tries to learn Spanish. Video: Julia Bleasdale’s South African Training Diary It must have worked as she recently won Carlsbad in 15:06. 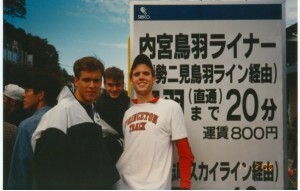 Graeme Fell, Marcel Jobin, Lynn Kanuka (Williams), Bruce Kidd, Jason Tunks headline Athletics Canada Hall of Fame Class of 2014 Fell had the steeple record (8:12.58) for 28 years, Kanuka won bronze at the 1984 Olympic Games in the 3000, Kidd still holds Canada’s junior 5000 record from 1962 – 52 years after the fact. Kirani James And LaShawn Merritt Will Renew Rivalry In Pre Classic 400 Props to these guys for actually racing each other during the season. Organizer Says Usain Bolt Is “95% Certain” To Compete In Glasgow Commonwealth Games This is her guessing rather than any statement from Bolt. France’s Pole Vault WR Holder Renaud Lavillenie Thinks He’s In Shape To Clear 6.20m He set the WR at 6.16m during indoor track. IAAF “Work, Rest And Play” Interview With Nigeria’s World LJ Silver Medalist And 200 Bronze Medalsit Blessing Okagbare She enjoys training for the jumps more than the sprint and her favorite movie is Lord Of The Rings. Kenya’s Gladys Cherono And Eritrea’s Nguse Amlosom Break Course Records At Jianzhen Half Marathon In China Amlosom ran 60:08 to beat Edwin Rotich (1:00:17) at the top 5 were only separated by 24 seconds. 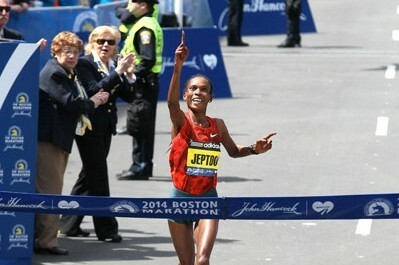 Cherono won in 1:08:16. 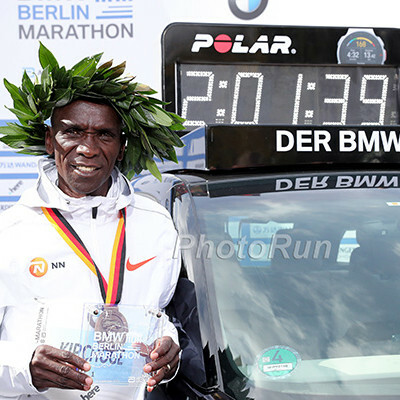 Kenya’s Cornelius Kangogo Defeats Quality Field To Win Dongio 10K In Switzerland Kangogo, the African XC silver medallist, ran 28:15 to hold off Olympic 5K bronze medalist Thomas Longosiwa by three seconds. Ethiopia’s world half-marathon silver medalist Guye Adola was 3rd (28:21) and 2008 Olympic 5K bronze medalist Edwin Soi was 4th (28:42). Guy Who Got Himself On TV At Start Of Boston Marathon Finished 927th Seth Wold is a 2:22 marathoner who ran at the front for the first 2.5 miles. 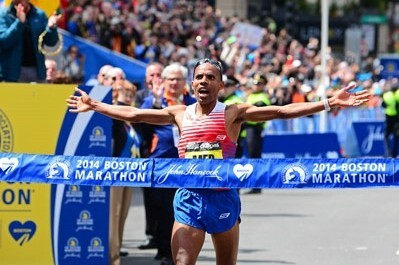 Ross Tucker Of Science Of The Sport: Boston Marathon 2014: Splits And Analysis Tucker explains how the chase pack executed “extraordinarily dumb racing” giving Meb a 1:21 head start over the final 12.2K. 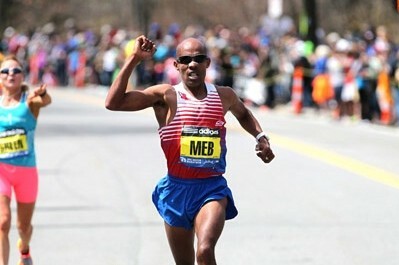 1983 Boston Marathon Runner-Up Ron Tabb Talks About Mentoring Meb Keflezighi When He Was A Kid He says Meb always used to want to be a miler. 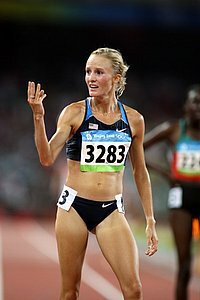 RW: Notable Runners At Boston Marathon: How They Fared Joan Benoit Samuelson ran 2:52:10, Mary Wittenberg 3:32:33, former Patriots linebacker Tedy Bruschi 4:47:49.